The data controller is C-section Mums. All queries in relation to data protection should be addressed to the designated Data Protection Officer Lucy O’Connor. Using cookies, C-section Mums can provide the users of this website with more user-friendly services that would not be possible without the cookie setting. There is a contact page available on C-section Mums. Should you choose to contact us the personal data transmitted by you, the data subject, is automatically stored. Such personal data transmitted on a voluntary basis to C-section Mums, the data controller and are stored for processing or contacting the data subject. There is no transfer of this personal data to third parties. C-section Mums has installed a plugin that integrates a component of Facebook, the social media network. This component allows a link from the C-section Mums website to the C-section Mums Facebook page and allows you to opt in to like the Facebook page of C-section Mums directly from the website. If you like the C-section Mums page on Facebook you can view updates, share articles and interact with C-section Mums on Facebook’s social network platform. You can unlike the C-section Mums page at any time. C-section Mums has installed a plugin that integrates a component of Twitter, the social media network. This component allows a link from the C-section Mums website to the C-section Mums Twitter feed and allows you to view the latest tweets by C-section Mums on twitter. 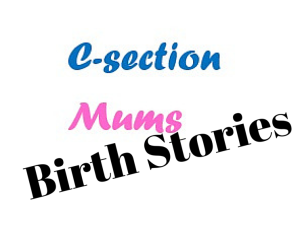 You can opt to follow C-section Mums on twitter to follow updates on that social network. C-section Mums places a small number of ads on its pages. If you as a data subject clicks on one of these ads a very small amount of income is earned by C-section Mums and is accounted for in the accounts of EMZ Digital Media Ltd.
C-section Mums has integrated Taboola Ads. Taboola Ads is a service for Internet advertising that allows the advertiser to place ads in Taboola advertising network. Taboola Ads allows an advertiser to pre-define specific keywords with the help of which an ad on Taboola Ads search results only then displayed, when the user utilizes the search engine to retrieve a keyword-relevant search result. In the Taboola Ads, the ads are distributed on relevant web pages using an automatic algorithm, considering the previously defined keywords. The data, e-mail address, is held in the C-section Mums content management system which is operated by WordPress. The e-mail addresses are not shared with any third party. From time to time C-section Mums will run a giveaway or competition. 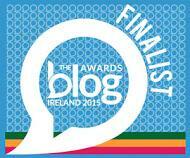 In these cases, giveaway software is integrated onto the website to host the competition. This software is Rafflecopter. The data held will depend on the competition and decision made by you, the data subject on how to enter and may include e-mail address, liking a Facebook page or Twitter account or making a comment on the website. Competition winners will be asked to supply a postal address for the purposes of sending out the prize. This competition widget is operated by Rafflecopter, PO Box 935, Boulder CO 80306. Any data protection queries can be addressed to privacy@rafflecopter.com. If you have any concerns over your data on C-section Mums and wish to enact any of your rights under the GDPR please contact the Data Controller, whose details are outlined above.